When you have been in the corporate world long enough, you may decide you are ready to move farther up the corporate ladder. A senior executive is someone who holds the highest level of management in the organization. When you feel like you are up to the task and have all the necessary requirements, you may apply for this position in the organization. Applying for an executive level position is actually no different than applying to an entry-level position. You would still need to always be at your best to impress the board of directors and shareholders. A compelling resume will make them take notice. 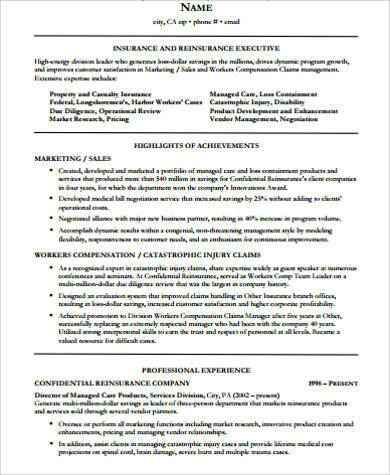 Our Sample Resumes are your best option in getting that job. A senior executive’s job as the highest management in the organization is not easy. Good thing executive assistants are there to help them all the way through. 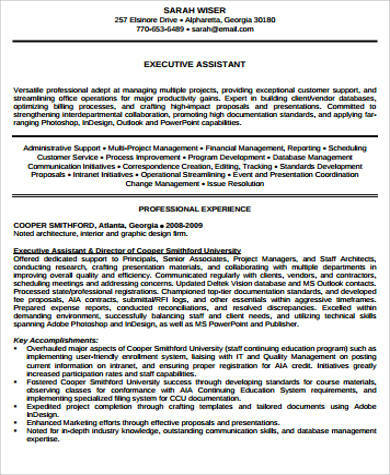 When you are planning to have a career as one, check out our Sample Executive Assistant Resumes to help you in your application. 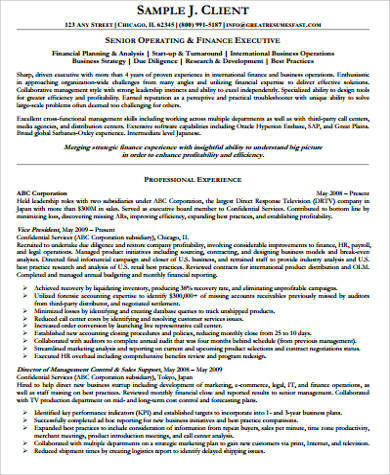 A senior executive resume looks almost exactly like any other resume and contains the same elements you see in one. 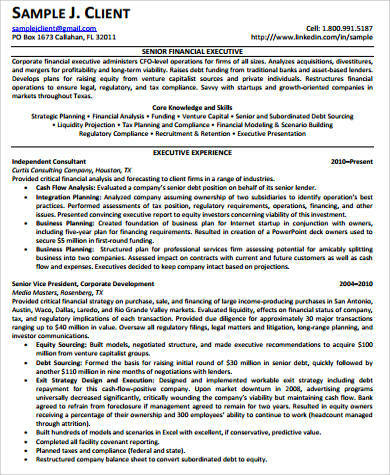 Below are some of the things found in a senior executive resume. 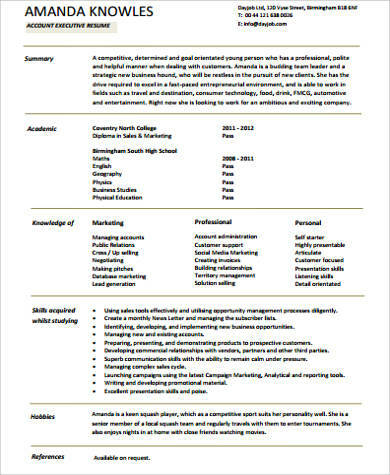 Personal Information – The full name and exact address should be included in the resume. Make sure you put your current contact details, that is, your phone number and email address. Professional Summary – This is a very important part of the resume as this is where you make a pitch as to why you are the right candidate for the senior executive position. Areas of Expertise – For a senior executive, some areas of expertise you can put in your resume include capital raising, team motivation and management, etc. Professional Experience – You have gained quite a bit by now. Make sure to list all your relevant working experiences. Education – State your school and degree. Training – Include all the relevant training where you gained skills. 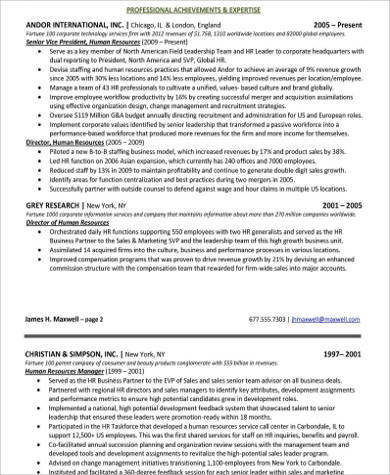 There may not be much difference between entry-level resumes and senior-level resumes but that doesn’t mean your senior executive resume should also look like that of one who is new to the job. 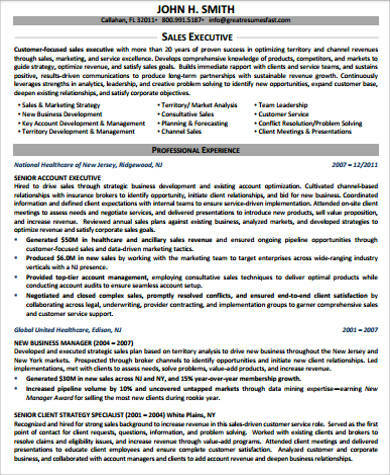 Our Sample Executive Resumes are a helpful guide in making that resume that screams “Executive” all over it. Show quantitative results. The rule of executive-level resumes is “Show, don’t tell.” You can’t just place in there qualitative things that you have accomplished. Be specific as to what exactly you did to achieve those results. Show off in your Professional Summary section. Show them why you are perfect for the job. This is also often the only part that some of the hiring managers look at, so make sure you put your best foot forward right off the bat and start strong with your professional summary. Create an online presence. 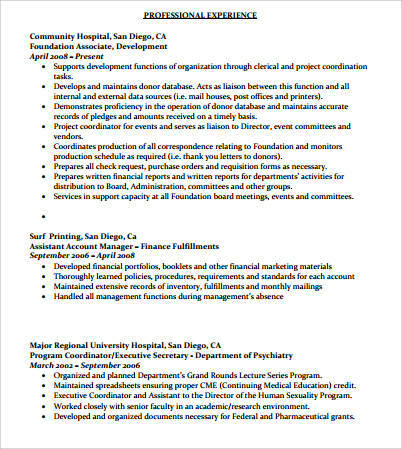 The least you can do for your resume is put it in your LinkedIn profile. This is also a good way of networking. The corporate world is tough. You have to get to every job position until you finally land that role at the top—senior executive. When you think you are fully equipped in taking on the challenge, our sample executive resumes will be useful guides in you getting that job.